The life and times of the Burgess family in north TX. My 13-year old son, Hayden, was given a chance to review this fun course called Beginning Microsoft Small Basic by Computer Science for Kids. 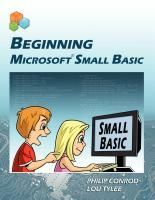 Beginning Microsoft Small Basic is an interactive tutorial course that teaches users about the Small Basic programming environment. Aimed at absolute beginners, this course can be completed by kids ages 10 and up as well as by adults! Not only does it teach you how to build basic applications in Small Basic with step-by-step instructions, but it also helps you compare this environment with other programming languages. To see how straight-forward and easy-to-follow this course really is, take a look at a sample chapter. The final chapter shows the user how games can be enhanced using other more complex programming languages such as BASIC, Visual Basic, Visual C, and Java. Take a look at some screenshots of these games. No previous programming experience is required. It is compatible with Windows XP Service Pack 2, Windows Vista, or Windows 7. You’ll need the capability to view and print documents saved in Microsoft Word format. Through their partnership with the Microsoft® DreamSpark® program, you’ll be able to download the required developer and design software at no extra charge. If you’re using this course for high school, it can be used for 1 semester of credit. You can order the paperback 500+ page textbook (with a downloadable digital version included at no extra charge) with a single-user license for $59.95, and it currently includes free shipping within the USA (free shipping ends July 4th). Or you can order just the downloadable e-book version with a single-user license which is currently on sale for just $39.95 (reg. $59.95, sale ends July 4th). Hayden was excited to try out this course! He’d never attempted any type of programming previously, so this opened up a whole new world for him. I received the downloadable e-book version. By the time I printed it and put it into a large 3-ring binder, I must admit that the sheer size of the instruction at 500+ pages seemed a bit intimidating. Once we downloaded the free design software at the link provided to us, Hayden was able to sit right down and begin the first lesson without any help from me whatsoever. We set out at the suggested pace of one chapter/lesson per week. Each chapter is expected to take the user 3-6 hours to fully grasp the material and complete the lesson, but older children or adults who have previous programming experience will be able to proceed at a faster pace. Hayden chose to work on it in the evening or on the weekend when his other schoolwork was completed so he wouldn’t feel rushed. In the first chapter, Hayden learned a brief history of computers and computer programming. It provided the web address to download the design software and explained how to install it. It gave basic instructions on how to use the software and maneuver your way through it. Basically, this chapter was just a simple introduction in preparation for starting the instruction. Hayden successfully installed it and got it set up all by himself. The second chapter starts out with a sample code and then breaks it down, explaining the format and rules of the programming language. Hayden performed a test to make sure it was functioning properly. Then he had to enter a small program for a welcome message, save it, and open it again. The purpose of this exercise was to practice how to use files he’d be making in future chapters. Chapter three discussed the importance of carefully programming exactly what you want the computer to do, because it will do just what you tell it to do, right or wrong. It describes the use of variables and their purpose within an application. Using this information, Hayden was able to input some code that resulted in a functioning calculator! Hayden was so excited that he actually made something work! He came running downstairs jumping up and down and couldn’t wait to show me! His enthusiasm and interest in the course began to skyrocket at this point. In chapter four, Hayden learned more about the use of arithmetic in programming and the language used to create mathematical functions within a program. Using this knowledge, he input a sample code that caused the computer to ask a series of questions, where it repeated his answers back to him. He thought that was pretty cool, and he asked me to come try it out for myself. Then it had him purposely make an error in the programming to see what would happen. At the end of the chapter, it had him enter some code that created a functioning savings calculator, explaining each step of the code as he entered it. Hayden discovered through this process that when he made a mistake and received an error message, it would tell him exactly where the error occurred. He was surprised by that and found it very helpful in correcting his mistakes. Overall, Hayden is enjoying this course. He is quite anxious to get to the end so he can create some fun games to play and see just what can be done with the Small Basic language! He has not encountered any difficulties or problems in completing the first 4 chapters, and he told me it has been really easy to use and follow. I love that he can complete this course independently. I also love that after the initial introductions, each chapter seems to reward him with a functioning program so he can see his newfound knowledge in action. This keeps him motivated and interested in what’s to come. I think the cost of the downloadable course is very reasonable, and with the enjoyment he’s gotten from using it so far I can definitely envision purchasing the next semester course when he finishes with this one. I would definitely recommend this course to others! 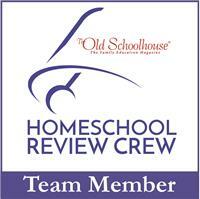 Take a look at what other Crew members had to say about this program as well as Bible Games for Beginning Small Basic by clicking the banner below.